Dr. Keith Brautigam is a full professor on the faculty of Indiana Wesleyan University in Marion, Indiana, and has previously served on the faculties of Calvin College (tenured) in Grand Rapids, MI; the Baldwin-Wallace College Conservatory of Music (tenured) in Berea, OH, where he served as chair of the voice department; Moody Bible Institute in Chicago; and Huntington College in Huntington, Indiana. 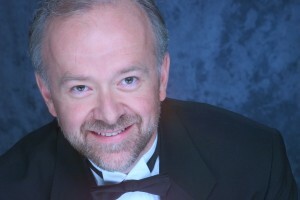 Brautigam earned his Bachelor of Music degree from Cornerstone University in Grand Rapids, Michigan, and then went on to secure his Masters and Doctor of Music degrees in vocal performance from the Indiana University Jacobs School of Music in Bloomington, Indiana, where he studied with Dr. Roger Havranek, Professor Emeritus and 30-year chair of the voice department; and concluded his doctoral studies with Metropolitan Opera star and world-renowned teacher, Miss Margaret Harshaw. Professional highlights range from soloist in Orff’s Carmina Burana and Handel’s Israel in Egypt with the Cleveland Orchestra; numerous solo performances of G.F. Handel’s Messiah, Felix Mendelssohn’s Elijah, Haydn’s Creation, and the Brahms, Fauré and Mozart Requiems with such organizations as the Calvin Oratorio Society, the Grand Rapids Symphony, the Fort Wayne Philharmonic, and the Bel Canto Chorus of Milwaukee; Germont in La Traviata with Chautauqua Opera; Schaunard in La Boheme, Yamadori and the Comissioner in Madama Butterfly and The Sergeant of Police in Pirates of Penzance with Cleveland Opera; Papageno in Die Zauberflöte and Father Capulet in Roméo et Juliette with Opera Grand Rapids; Tonio in I Pagliacci with Skylight Opera Theater; and appearances at the Festival International de Musica de Buenos Aires — performing both at the Salon Dorado of the Casa de la Cultura and the famous Teatro Colon, where he has been twice invited to the renowned Colon Instituto as a guest instructor for their opera apprenticeship program. You may learn more about Dr. Keith Brautigam by visiting his website at www.keithbrautigam.com. Dr. Brautigam also wishes to acknowledge the contributions of his son, Luke, who is a double major in applied voice and business administration at Indiana Wesleyan University. Luke’s computer expertise, diligent data entry work, and boundless energy and ingenuity have made him an invaluable member of the Vocal Masterclassics team!